Ah, goaltending. A topic that has been much discussed among Canucks fans these past few seasons, and it appears that just because the Roberto Luongo-Cory Schneider saga came to end, the goalie talk hasn’t ceased. 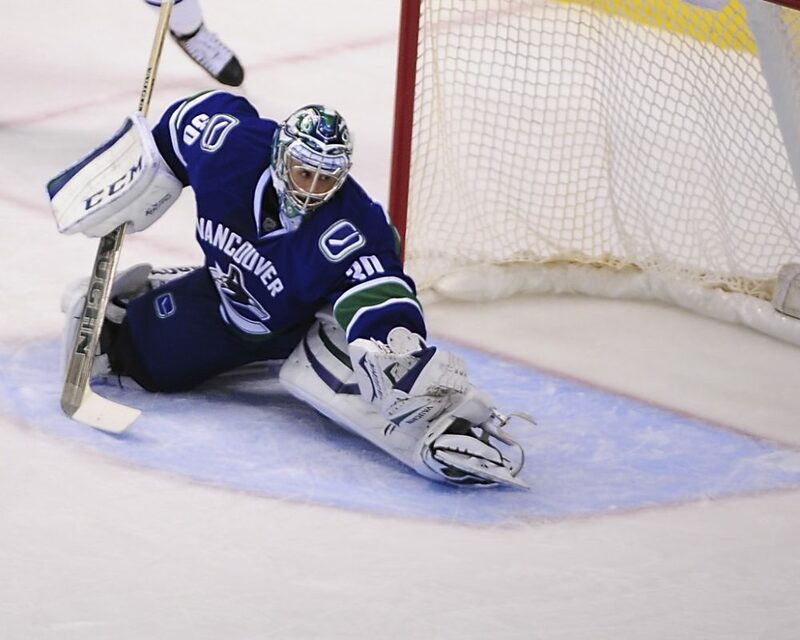 The Canucks have a log-jam in goal, with veteran Ryan Miller, a promising Eddie Lack and AHL superstar Jacob Marsktrom all capable of playing in the NHL at this point in their careers. There’s no doubt that one of them will be gone, but which makes the most sense for the organization? We look at the pros and cons of dealing each one. The Canucks have an unfortunate lack of cap space at the moment, and Ryan Miller’s $5.5 million caphit is certainly not helping matters. The Canucks are already being talked about in free agency rumors, with the names Cody Franson, Mike Santorelli and Joel Ward all coming up before the draft has even hit. However, they’ll need some more wiggle room if they hope to even make a moderate splash come July the 1st, so trading Miller would be a major positive in that regard. As mentioned above, Miller does have some mileage on him, but with that comes experience, something the Canucks would be lacking if they did manage to ship Miller out of town. As much potential as the likes of Eddie Lack and Jacob Markstrom boast, if the goal is to make the playoffs next season, maybe they consider keeping Miller around just in case Lack falters, and run with a 1A-1B type system for the 2015-16 campaign. However, you can’t have it both ways, so Jim Benning will have to decide whether he wants to get younger, or whether he wants to run with the more experienced option. Definitely a storyline to watch heading into the draft and free agency. Of all the Canucks goaltenders, it’s Eddie Lack who is likely to fetch the highest return. Lack has shown glimpses of being a capable starting goaltender, as well as having lots of room to only get better. Rumors are circulating that the Canucks are looking for a 2nd round draft pick in return for the Swedish goaltender, but could likely get more. It would hurt to trade Lack, but it may just be worth it. As everyone knows, hockey is a business, and after already seeing two fan-favorite goaltenders in Roberto Luongo and Cory Schneider shipped out over the past couple of seasons, it might not be the best PR move to trade Eddie Lack. No, you can’t just hold on to a player because he’s good on Twitter and the fans like him, but there’s no doubt that it would hurt most Canucks fans to see him sent out of Vancouver. 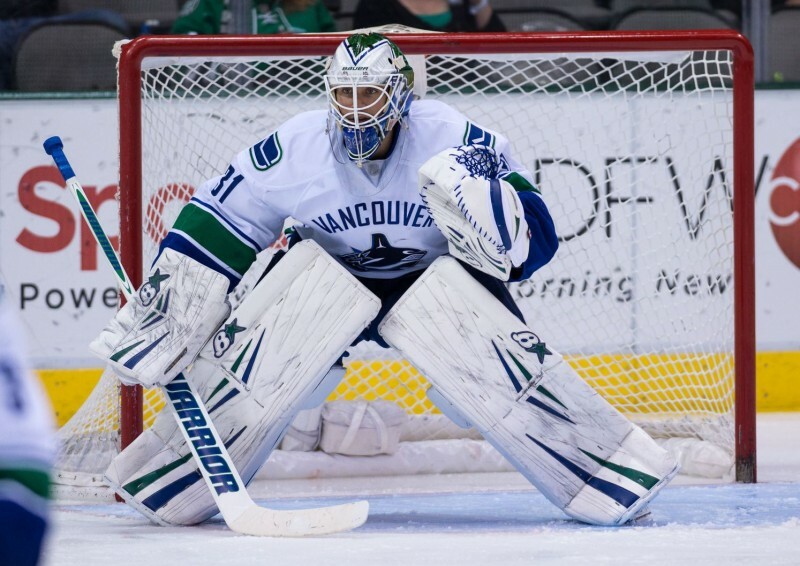 While Lack has struggled occasionally throughout his stints as a starter, there’s still a lot of room for Lack to grow as an everyday NHL goaltender, and potentially become the face of the Canucks crease for many years to come. With a respectable career SV% of .917, he has shown to be capable of at least a 1A/1B scenario, and may just be ready to take the reigns as early as next season. Short term, trading Lack might make the most sense, but it could end up hurting the organization long-term. Despite losing to the Manchester Monarchs in five games in the Calder Cup Final, the value of Jacob Markstrom has never been higher. 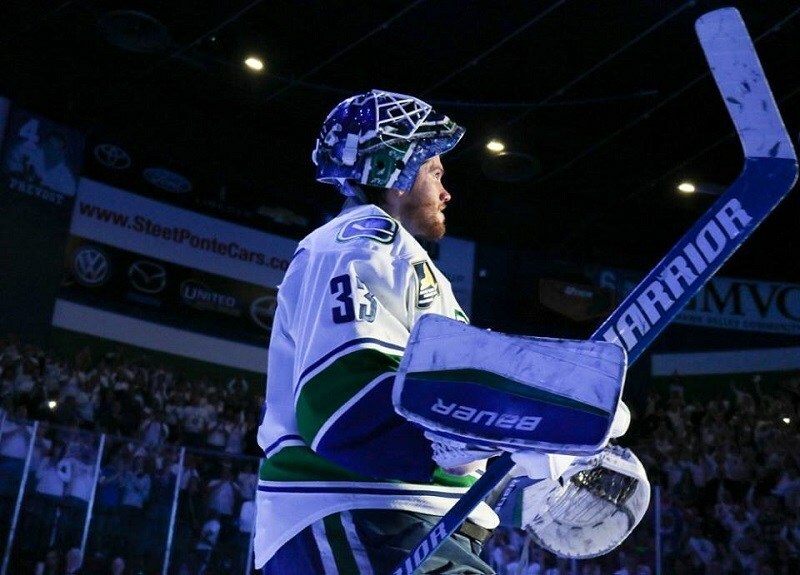 Though he’s never been able to establish himself at the NHL level, Markstrom had a season for the ages during the AHL regular season (1.88 GAA, .934 SV%), and continued that level of play into the post-season, with a GAA of 2.11 and a SV% of .925. While Markstrom still won’t fetch a king’s ransom, it’s doubtful that he’ll ever be able to get your more on the open market going forward, which might make trading the young Swede an attractive option for Benning and Co. 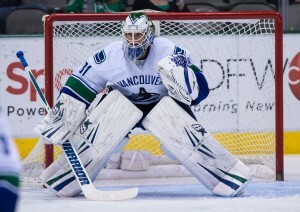 Whereas trading Miller or Lack might be a detriment to the team if they intend on remaining competitive in the near future, Markstrom is unlikely to be anything more than a backup for the Canucks, therefore, not making him of any significant value to a team that’s trying to make the post-season. Talk long-term all you want, but short-term, trading Markstrom is unlikely to hurt them very much at all. Of course, the counter-argument to what’s mentioned above, is the fact that if Markstrom can one day translate his American Hockey League success to the NHL, he could be a top-end goaltender for the Canucks, and eventually become a cornerstone for the franchise. Is it a long-shot? Maybe, but there’s some risk involved should Markstrom be dealt. The NHL club is obviously priority #1 for Jim Benning, but it may cross his mind that trading Markstrom would be an astronomical hit to the Utica Comets and their chances at remaining a Calder Cup contender, despite the relatively strong play of Joacim Eriksson. It likely won’t play a huge role in his decision, but it is something worth noting.